I bought this book myself! As always, my reviews and opinions are completely my own and not bias in any way. The Reestablishment said their way was the only way to fix things, so they threw Juliette in a cell. Now so many people are dead that the survivors are whispering war – and The Reestablishment has changed its mind. Maybe Juliette is more than a tortured soul stuffed into a poisonous body. Maybe she’s exactly what they need right now. Juliette has to make a choice: Be a weapon. Or be a warrior. As soon as I finished the Divergent series in October/November time, I was looking for a new Dystopian series to sink my teeth into. I heard literally so many amazing things about Shatter Me on Instagram and Twitter, where the series had a huge following, so I picked it up easily, knowing it was quite clearly loved everywhere. Juliette and Adam - I love how Tahereh made their relationship based on a previous meeting in their earlier childhoods, because when they reconnected and when they talked, I could really tell that they really knew each other like an old friend. Not to mention how protective they both are of each other. Juliette is such a gentle, caring person, but when it comes to Adam, she will fight to the death. She broke through a wall to save him, because she loves him and that really did show. Juliette and Warner - Okay, I'm not even sure why they worked, but they just did. From early on, I could tell in little flickers of information that Warner held a candle for Juliette, but as soon as I knew she could touch him, like Adam, I was like; I knew it! They weren't "right" for each other. Juliette was kept in an Asylum that Warner was kind of in charge of, and instead of letting her go or even caring more, he kept her and wanted to use her as a weapon, and still, when that incident happened near the end of the book with Warner and Juliette, for a moment, they were "right" for each other. And then, if you read the book, YOU know what happened to him. And Omega Point - this place baffles me so much. I was so glad that a place like that existed, but never in my wildest dreams of reading this book did I imagine what happened within those Rebel walls that it contained people with those sorts of abilities. So, that element was a HUGE surprise for me. Juliette was such a strong person on the inside (and out), that her narration, even when she was feeling vulnerable and weak, lit up the pages like fireflies. 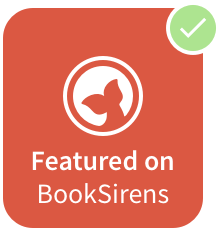 I couldn't really compare Juliette's narration to anything I've read before, but she had a very bold personality alike Tris (from Divergent), that ultimately made me hooked and commanded to continue reading constantly. Adam, who I was certain I might hate after the first few chapters in the Asylum with Juliette, turned out to be my second favourite character of the book. I'm definitely hoping that him and Juliette do get a chance at things in book two (no spoilers please!) because they did have something I just can't explain that was just, to put it simply; beautiful. As for Warner, he was in my opinion, a broken person. I think that he had been through a lot that we haven't maybe seen yet and that he did have some sort of fascination with Juliette that came across in two different ways in alternate chapters; strange and adoring. It was nice getting to have a peak into his imagination in the back of Shatter Me with the journal/log entries. I do really want to see his character explored a little more and yes, even though I am team Juliette/Adam for now, I want to see how things with him and Juliette would've played out. Kenji! He was quite the character. He reminded me a lot of Patch from Hush, Hush, just because of his charisma and how I can imagine him making a joke of everything, not forgetting that he hit on Juliette multiple times with Adam around, and would risk her deadly touch. He was just a real fun character to have as a sort-of sidekick and the ending chapters for me when a secret of his was revealed, I was totally taken aback! In a really good way. I can't put into words how brilliant enchantingly phenomenal Shatter Me truly is. I can't wait to start Unravel Me as soon as I can, but will say that even after that last page was closed, I'm still thinking about it! Tahereh really does know how to write a story to get hooked on. Time to join the fandom for this one, I guess! Big fan. Have you read Shatter Me? 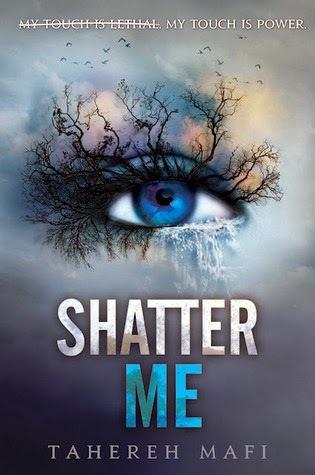 I am getting ready to start Shatter Me sometime this week. I am so excited, and I'm glad you liked it so much. Great review!